A QWIK QUESTION FOR ALL YOU REAL ESTATE PROFESSIONALS. Looking at the two pictures shown here, which one has more curb appeal, will be easier to sell, and at a higher price? 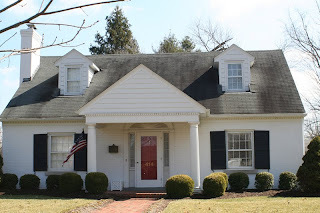 If you are listing homes with roofs in the condition of the left picture, without informing your client that a "Qwik Roof Cleaners,Louisville Kentucky Certified Professional, Non-Pressure Roof Cleaning" will greatly increase the chances of selling their home quicker and a higher price, then you are doing a grave injustice to your client and yourself. The average buyer will look at the roof and immediately think that the roof needs to be replaced due to those ugly black streaks. If they make an offer, it will be approximately $9K-$12K below the asking price, just on the roof condition alone. That is a significant amount of money lost by the homeowner and also at 6% commission loss for the realtor. 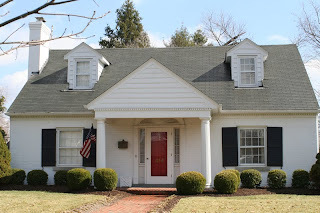 The true curb appeal value can be recovered by a "Qwik Roof Cleaners, Louisville Kentucky Certified Professional Roof Cleaning" for fees ranging from $300.to $800. depending on the size of the home. 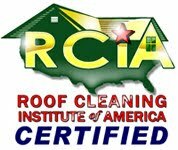 It really is a "NO Brainer" to recommend our service to your clients that will benefit from having their roof cleaned prior to listing. CALL NOW FOR A FREE NO OBLIGATION ROOF CLEANING ESTIMATE! 502-773-1730 We are "Certified Professionals" just like you!